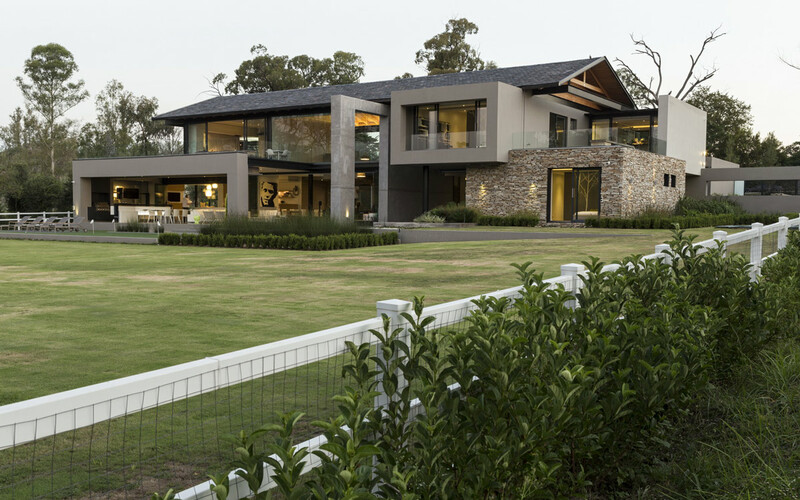 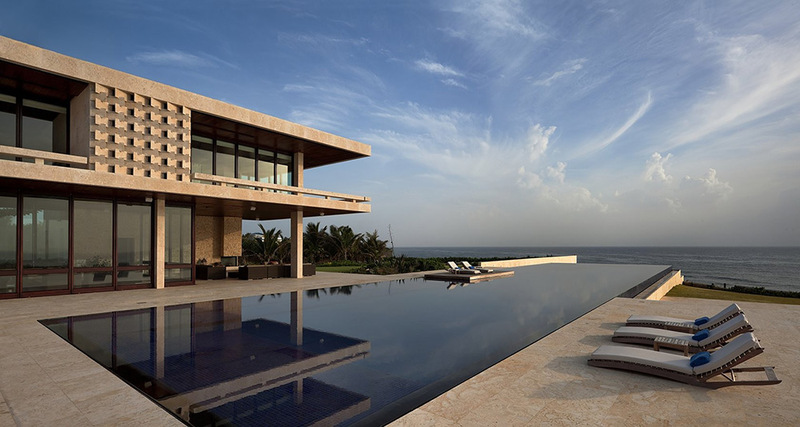 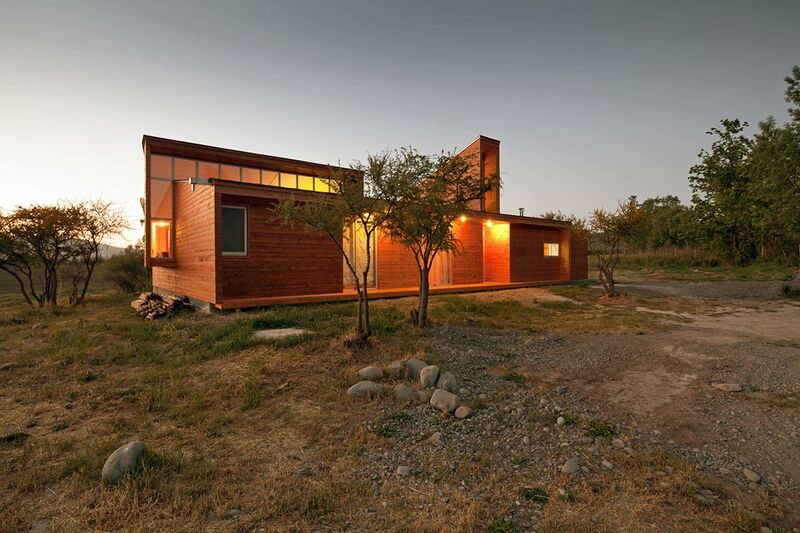 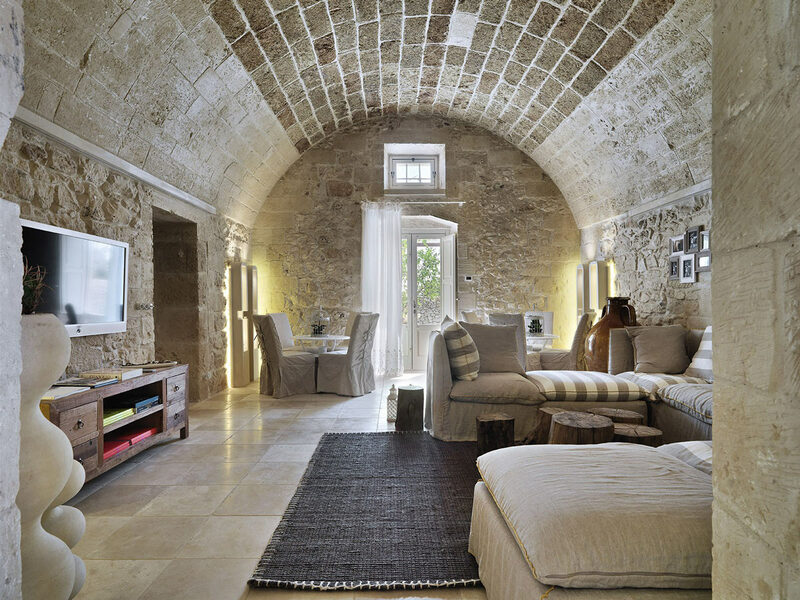 The Genius Loci residence was completed in July 2011 by the New York based studio Bates Masi Architects. 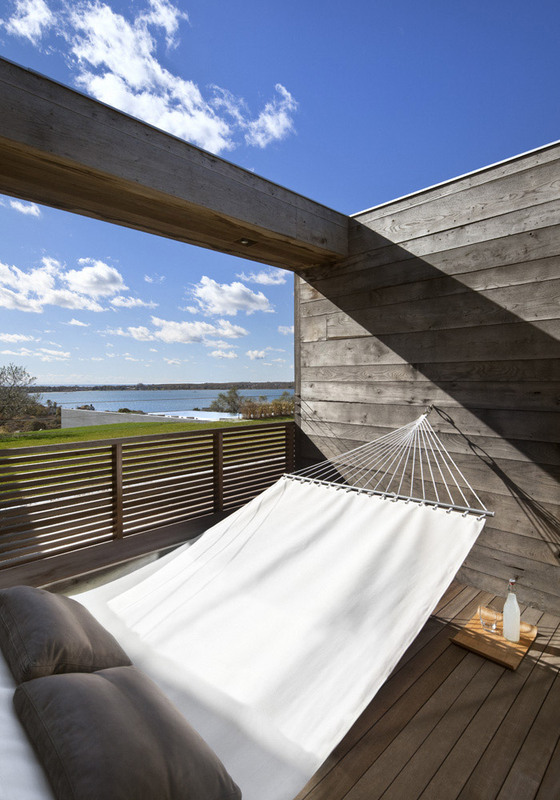 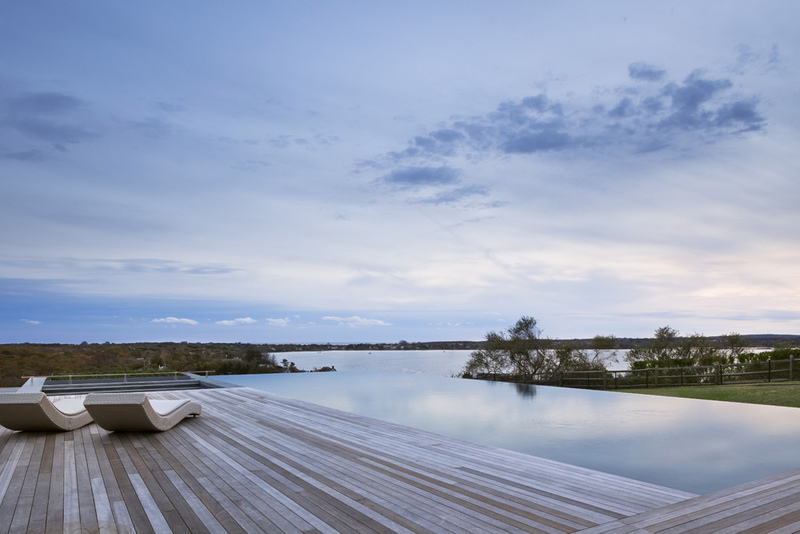 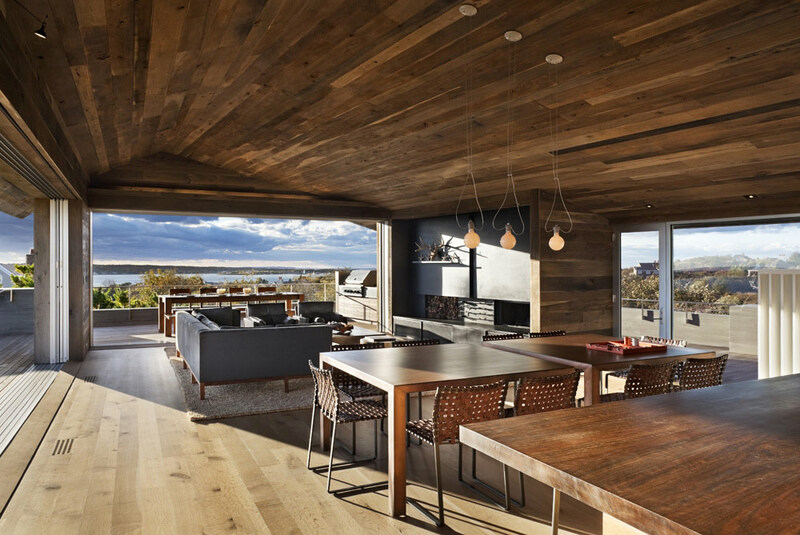 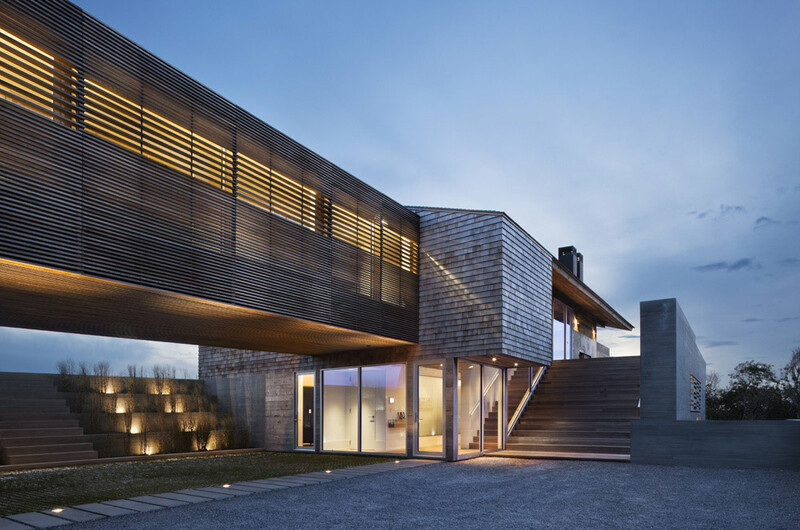 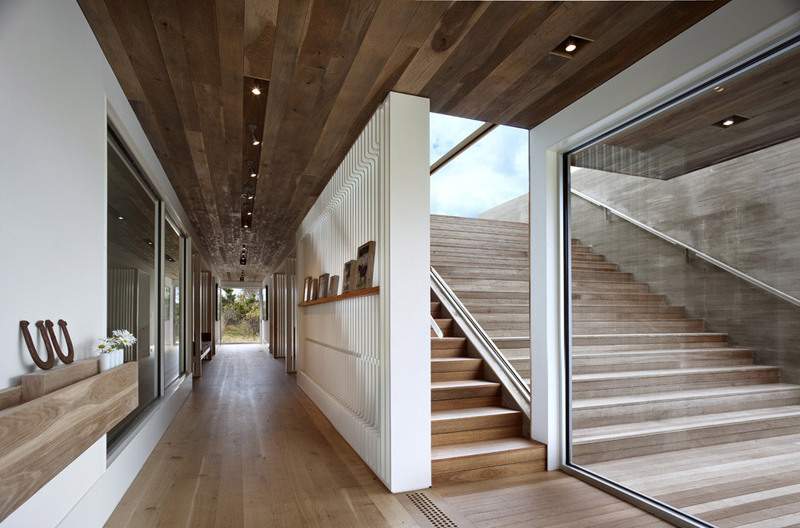 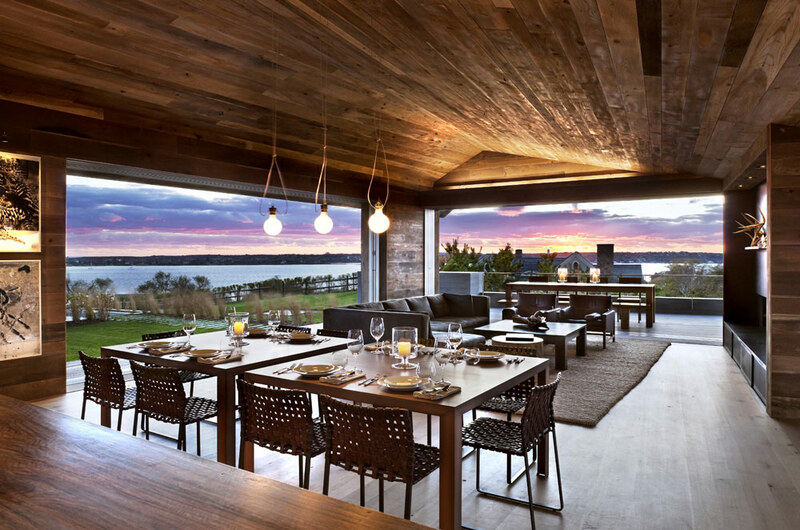 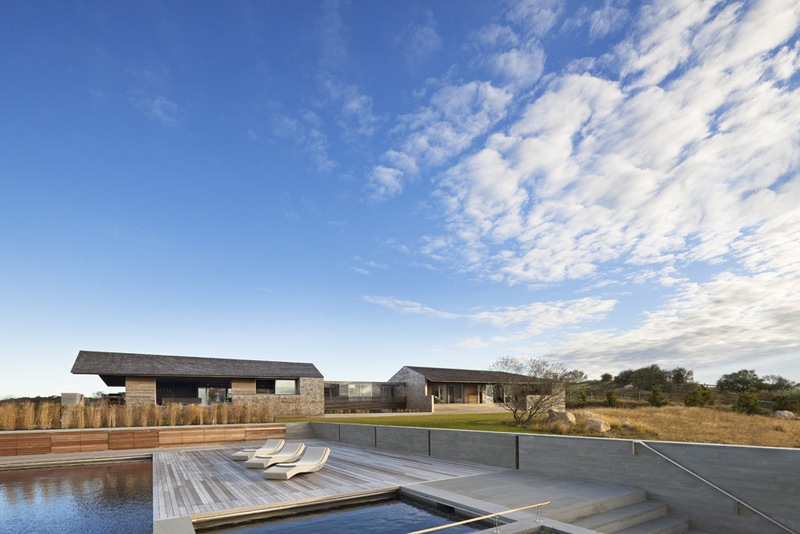 This 7,000 square foot contemporary home is located in Montauk, New York, USA. 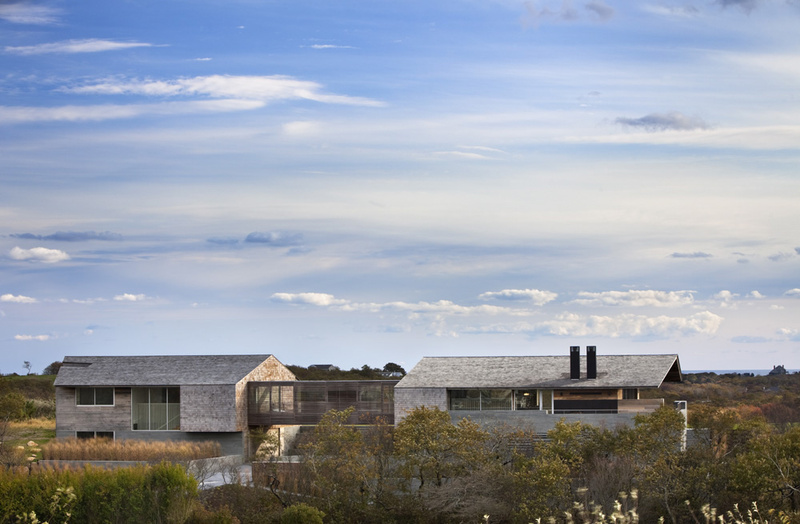 Montauk building typology of the low-pitched gabled roof is modified by the geometries of the allowable building envelope and height restrictions of the site. 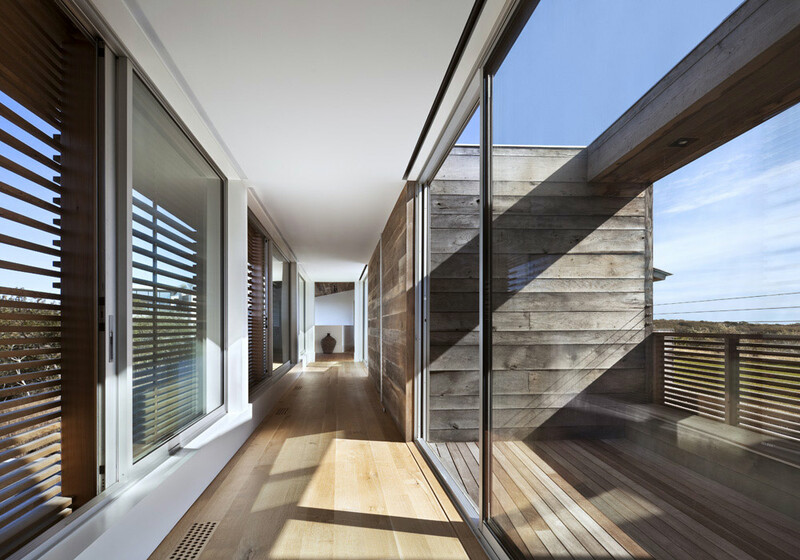 The ridge is offset and the walls converge, directing one’s view west to the lake. 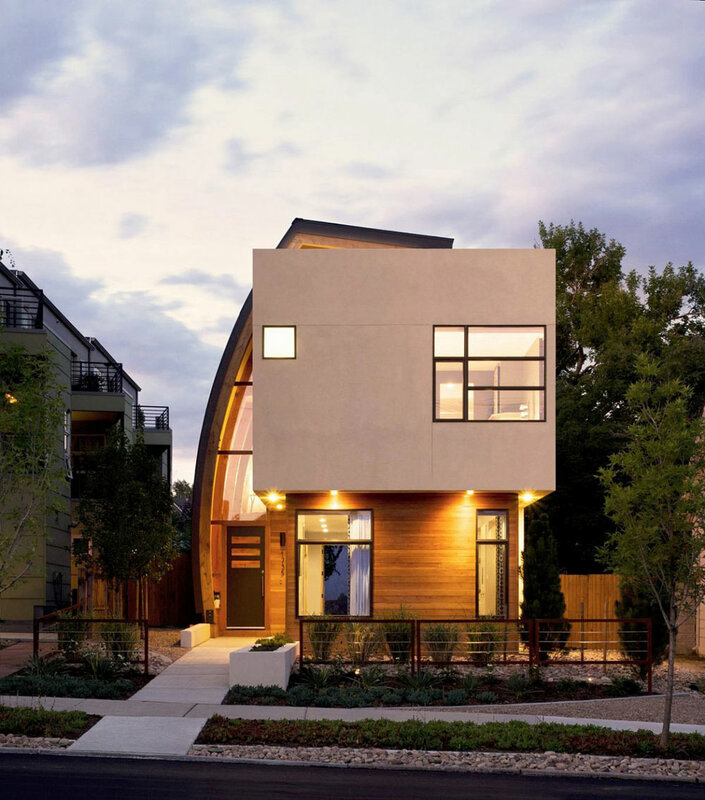 The optical illusion caused by the parabolic roof is visible on the South side and entices a second look, as do numerous other details.